MINT CONDITION! BEST OF DALLAS ESTATES! 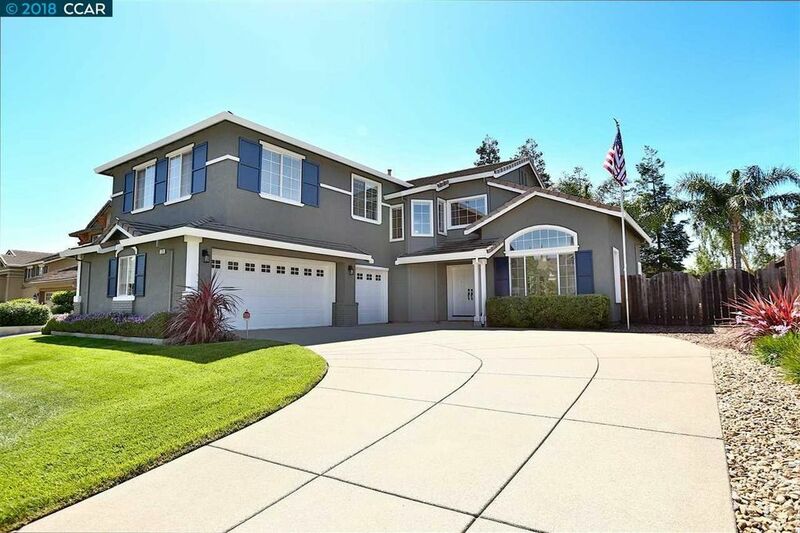 Contemporary 5 bedroom, 3 full bath 2-story w/ open floor plan. High ceilings & many windows allow waves of natural light. Spacious living rm & formal dining rm w/ modern ceiling light fixtures. Elegant new bamboo flooring & plush new carpet. BREATH-TAKING KITCHEN w/ granite counters, island, gas cook top & new stainless steel appliances: convection double oven, dishwasher, microwave & refrigerator. Gorgeous family rm w/ tile floors, cozy gas fireplace, recessed lighting & overhead speakers. Convenient downstairs bedroom or office. Grand master suite w/ beautifully remodeled bath. EXTRAS: inside laundry rm, mirrored closet doors, plantation shutters, whole house fan, central heat & air conditioning, 2 furnaces, & RV/Boat parking. Washer & Dryer included. Huge 3-car garage w/ work bench & storage cabinets. YOUR OWN OASIS AWAITS! Fully landscaped yard w/ mature palm trees & refreshing swimming pool, perfect for entertaining!